John Makdessi helped Donald Cerrone and the UFC from cancelling a bout for UFC 187 when he stepped in on short notice to replace Khabib Nurmagomedov. Unfortunately for Makdessi he would suffer a TKO loss and a broken jaw after a second round head kick. Makdessi (13-4, 6-4 in the UFC) underwent surgery and needed to have his jaw wired shut for six weeks to heal properly. According to Makdessi’s Facebook message to his fans, the 30-year old Canadian will is contemplating his next move in the sport. 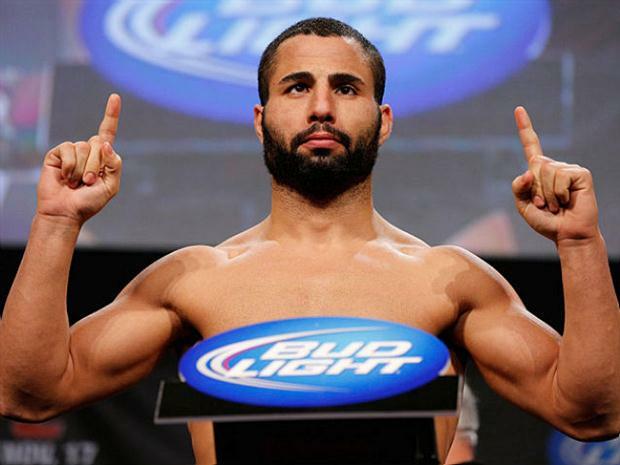 It is unclear if Makdessi was hinting towards a weight class change, or perhaps retirement. Below you can read his official statement. “It’s unfortunate I got my jaw broken in the fight I never experienced that in my whole life of competing. Im still at the hospital now I’m healing and reflecting. I fight for my future and to pay my bills I sacrifice my body and put everything on the line every time I step into that cage. I’m sorry I couldn’t do what I wanted to do I wasn’t there 100% but no excuses Donal Cerrone was a better man that night I wish I could of given you guys a better fight. But it is what it is. This is life. I always want to go out there and entertain the crowd.